We provide private guided tours for families and small groups who want an authentic local tour and have full control over where they go and what they see. We love where we come from and we especially enjoy taking the scenic back-roads along the bays and headlands of our wild Atlantic coastline showing off the many hidden treasures learned from living in the area. 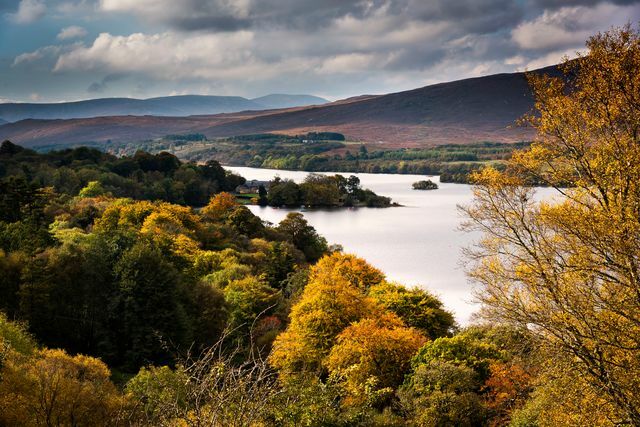 With stories as varied as the Spanish Armada, the Potato Famine, emigration, and the myths and legends of Donegal's famous and infamous people, we hope we have a private tour that enhances your holiday experience in Donegal. We will pick you up from your accommodation, chauffeur you to wherever you want to go, and drop you back again in the evening. No worrying about road maps or unfamiliar roads. Don't see a tour that suits you? Just contact us for a bespoke tour. Our tours can accommodate up to 7 people. Bookings or requests for further information can be made at any Fáilte Ireland Tourist Offices, by emailing info@explorenorth.ie or by telephone on +353 (0) 87 711 2221. One of Ireland's most scenic drives, the iconic Inishowen 100 truly is one of our country's hidden gems. Not that we're biased in anyway! 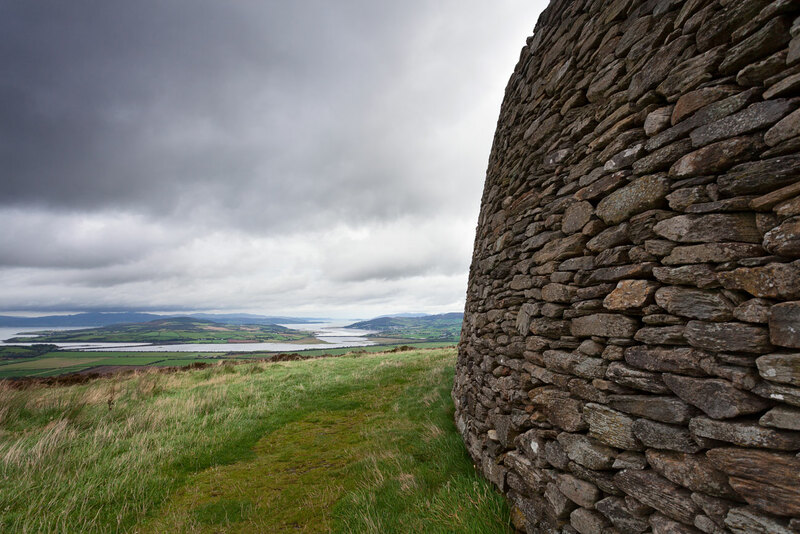 From the historic Grianan An Aileach to the stunning coastal paths at Malin Head and along the pretty towns and villages, it's a feast for the senses along Ireland's most northernly peninsula. 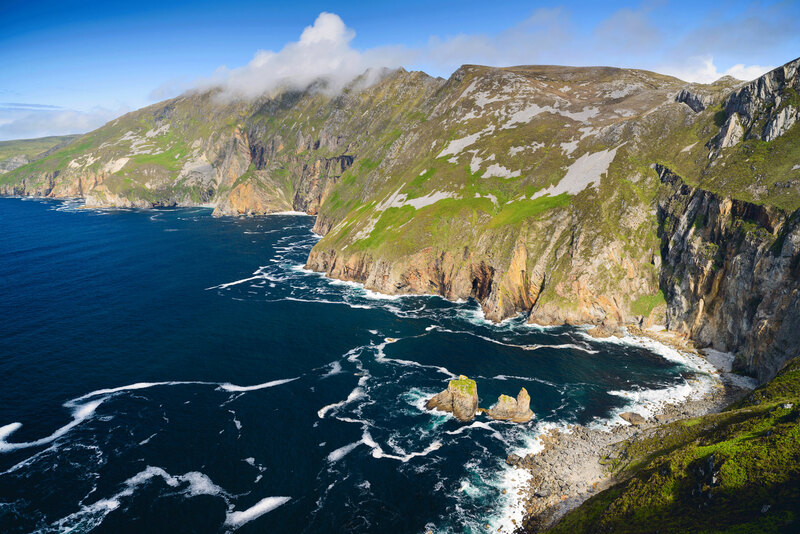 A visit to Donegal would not be complete without seeing the majestic Sliabh Liag Cliffs near Carrick in South West Donegal. One of the highest and finest marine cliffs in Europe, it offers incredible views from its 600 metre vantage points. Along the way, visit Donegal Castle and the beautiful heritage town of Ardara. Starting off with a ferry across Lough Swilly, explore the maritime secrets of Donegal with a trip along the scenic Knockalla Drive to Fanad Lighthouse. Cameras at the ready as photo opportunities are around every corner! A leisurely drive across Mulroy Bay and south to Ireland's second largest national park at Glenveagh complete a memorable day tour. With long sandy beaches and rugged cliff top scenery, Northern Ireland’s North Coast is often described as one of the most beautiful coastlines in the world. 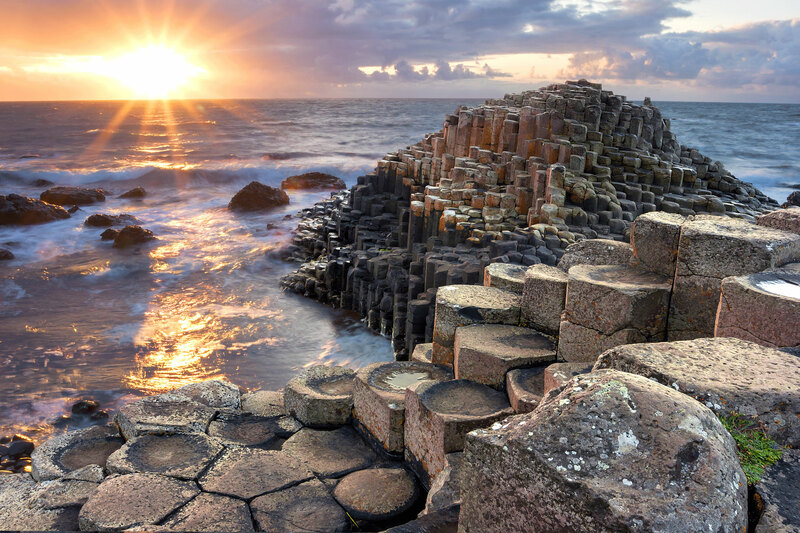 The Giant’s Causeway, UNESCO World Heritage Site, Carrick-a-Rede rope bridge, Downhill Demesne and Hezlett House are amongst the many attractions of this stunning area of outstanding natural beauty. A visit to Seamus Heaney HomePlace, Bellaghy, Co. Derry, celebrating the life and literature of the poet and Nobel Laureate who was one of Ireland's greatest writers. Our tours cater for 1-7 passengers. Unfortunately at the moment we cannot offer the option for individuals or couples to join with fellow travellers due to the logistics of merging visitors staying in different locations. We hope to offer this facility in 2019! 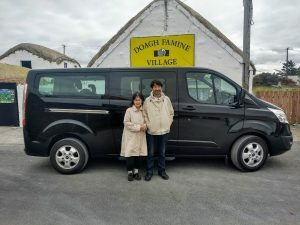 Our Private Tours start from around €30 per hour plus a small fee if the tour pick-up point is a distance from our base. We are more than happy to do half-day tours or bespoke tours if this suits your needs better. Just drop us an email at info@explorenorth.ie with an idea of where you might like to see, where you are staying and we can get you a customised quotation. We are based in the Inishowen Peninsula but we can offer pick-up's from Derry and Letterkenny also. We have even done day tours from hotels in Belfast (145 km) and Donegal Town (101 km) so if it can be done, we'll let you know! A day tour as part of a transfer from one hotel to another is a common request. Our Private Tours operate all year round.